The thanksgiving leftovers are gone, my friends. You know what that means? It’s now acceptable to crank up some Bing Crosby, decorate an evergreen, and start working on that Christmas gift list! 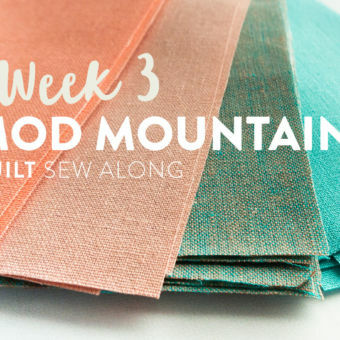 It's time to get comfy, sip some hot cocoa, and start making your holiday DIY sewing gifts. A moment of honesty: I am the worst at coming up with thoughtful, beautiful gifts for people. I also procrastinate. (It’s a bad combo, I know, I’m working on it. 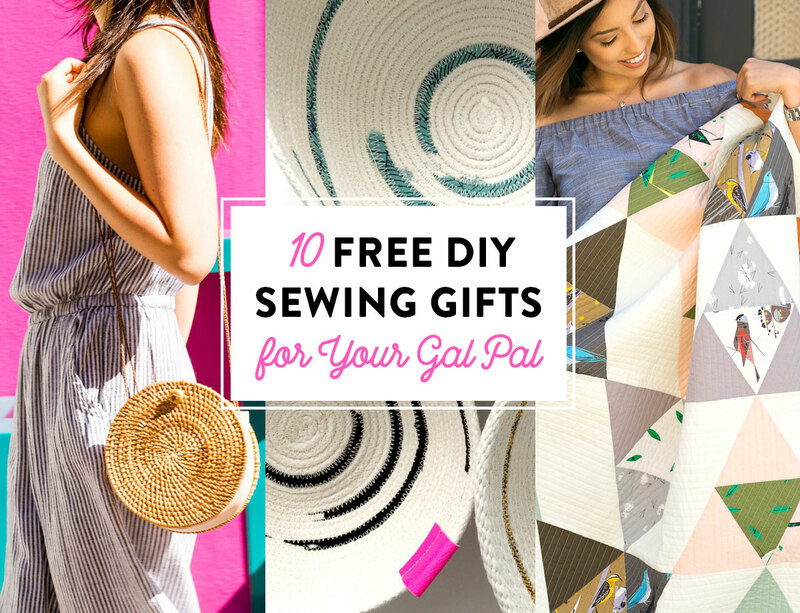 Or I WILL work on it later...) So I decided to help myself out and compile a list of ten of the best DIY sewing gifts for the special ladies in my life… and yours! 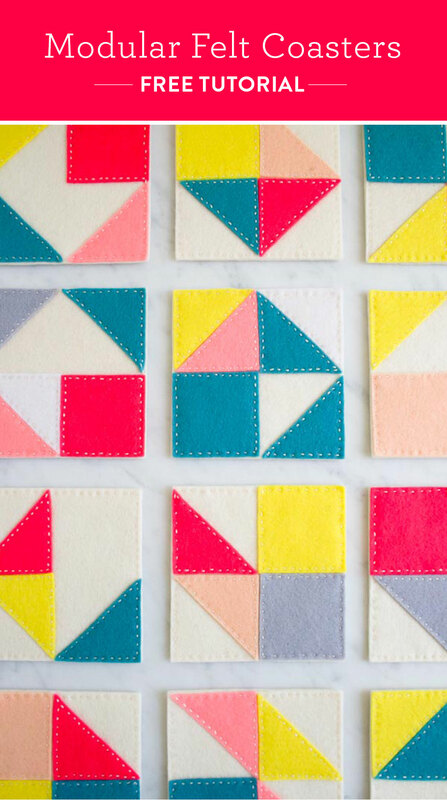 Whether you want to hand-make something special for a neighbor, co-worker, or straight up BFF, these FREE do-it-yourself sewing gifts can be personalized in so many ways. 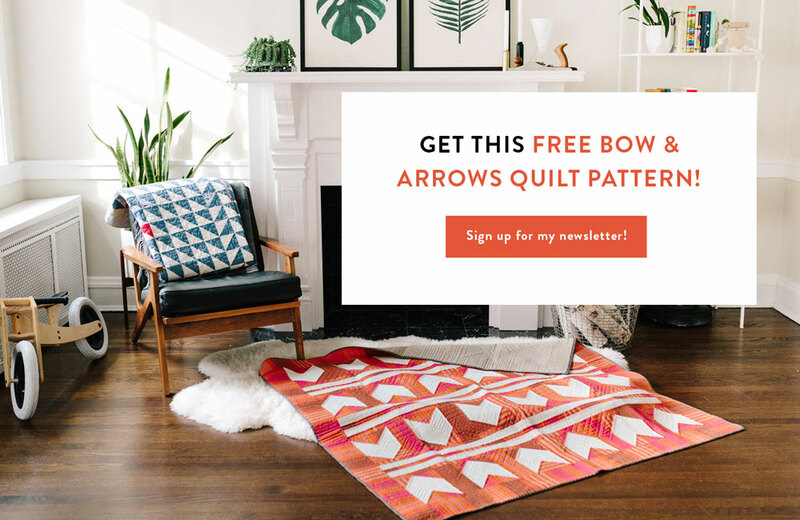 Feel free to put your own spin on each pattern! Have friend who has a modern style, and REALLY cares about the surface of her wooden coffee table? C’mon, we all do! 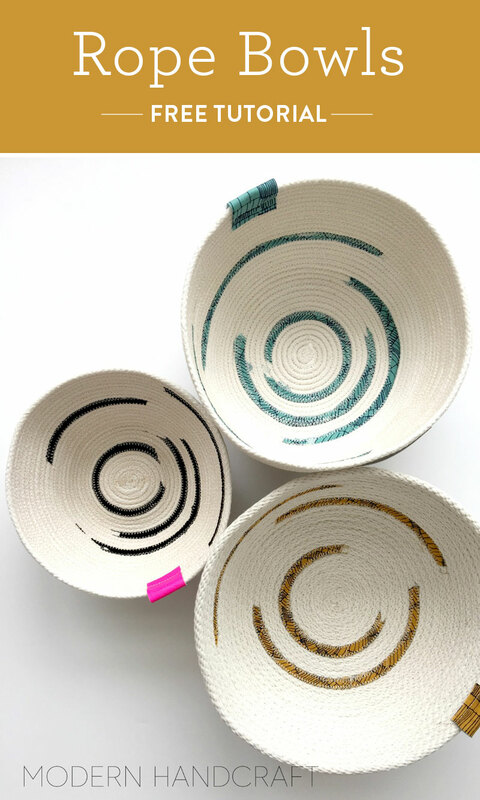 These Modular Felt Coasters are the perfect gift, and give you a ton of creative freedom to have fun with the design! This pencil pouch is so cute, I’d take it out on the town. 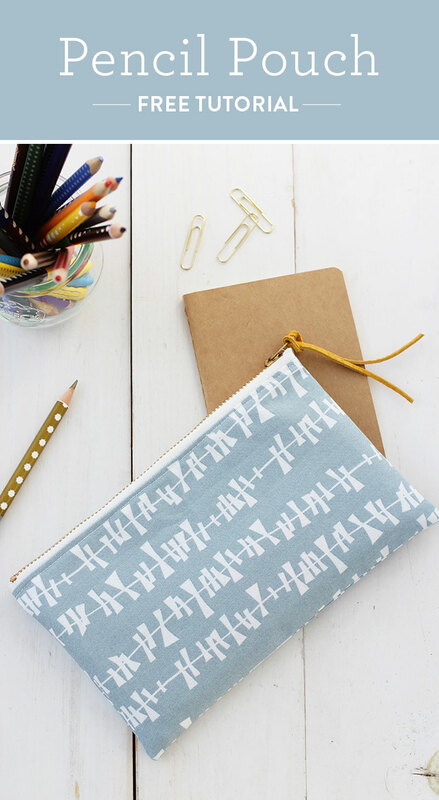 That’s why this DIY from Alice & Lois is great for avid journalers, artists on-the-go, globe trotters, or anyone who just likes cute little bags! Change up the zipper pull decor to dress this baby up or down. 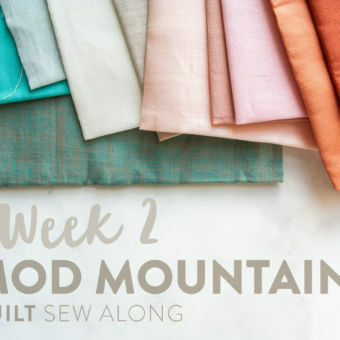 My favorite DIY sewing gifts are the ones that look really impressive, but actually only took minimal effort. That is why a 30-minute Kimono is high on the list. 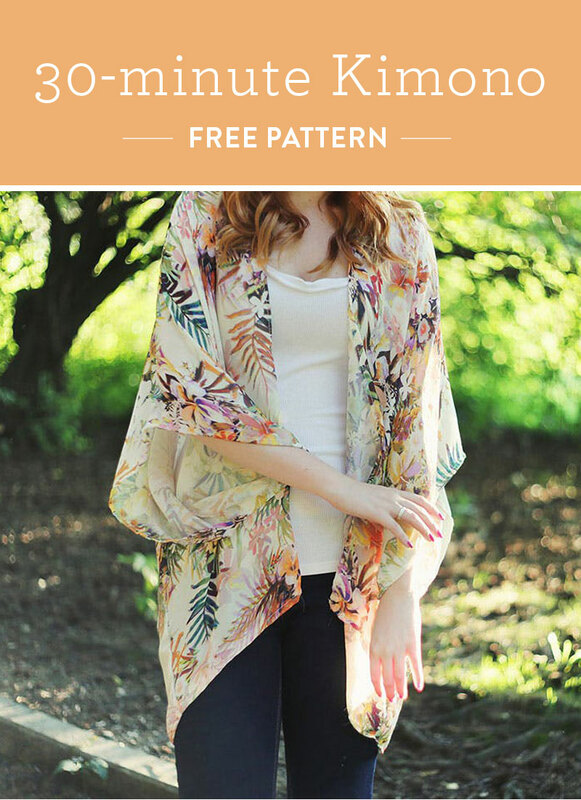 This easy breezy beautiful kimono pattern is so comfy, and trendy, I might make one as a gift… for myself. I don’t even feel bad about it. Are you and a friend planning a warm getaway? Make a beach coverup by using a lightweight fabric like this Liberty of London silk chiffon or adorable flamingo lawn. This Hexagon Pillow pattern from Lil Luna gets two things done: makes a great, handmade gift, and helps you clean out your closet. 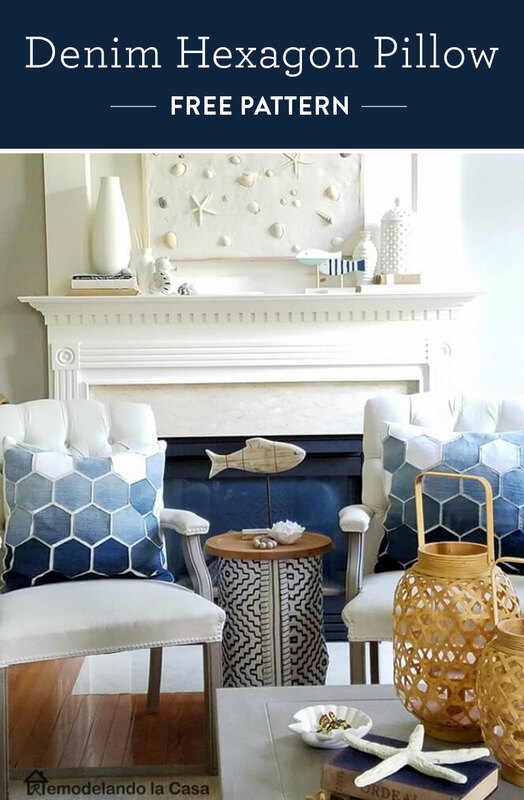 I love the look of the finished project – both cozy and unique! The one piece of special equipment you may want to get is a hexagon ruler. 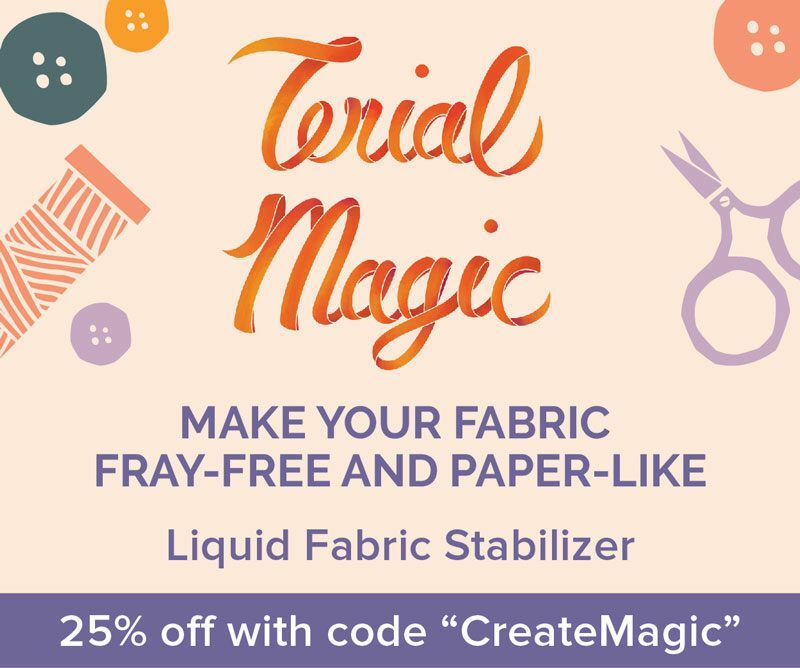 You can use the paper template provided in the patter, but tracing shapes around a paper template is kind of terrible...and the paper inevitably rips. This set of hexagon rulers would allow you to vary the size based on the look you want. 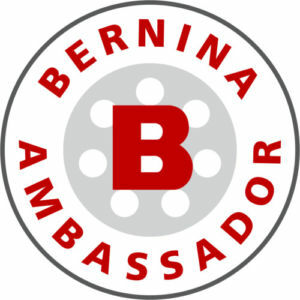 Do you know a lady who's strong and tough and deserves to be called a warrior? Whether it's fighting health issues or simply fighting your kids, I think we all know someone special who is a true champion in their own right. 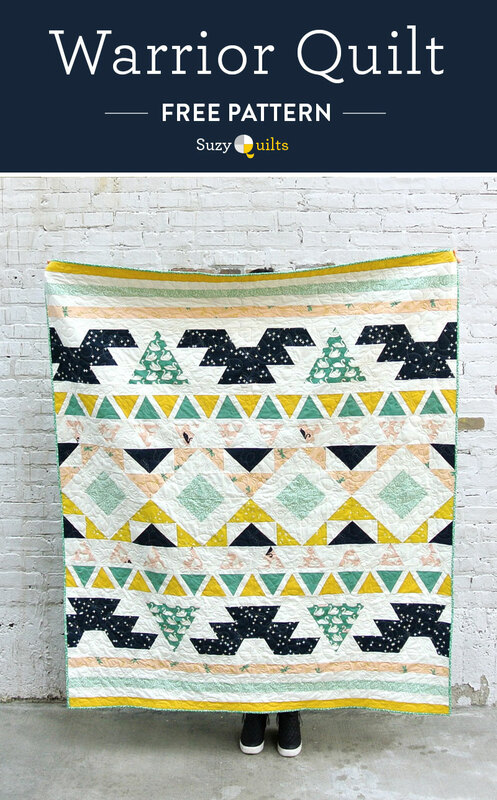 The fabric I used for this quilt is a couple years old, so it might be hard to find, but I think this Warrior quilt pattern is dynamic and interesting enough to make it using solids. 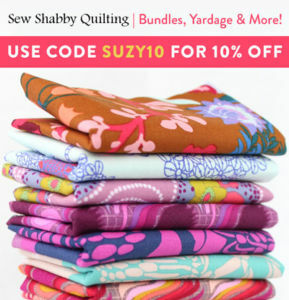 I'd love to see the pattern made using colors similar to these. I based this palette on Kona Cotton swatches. 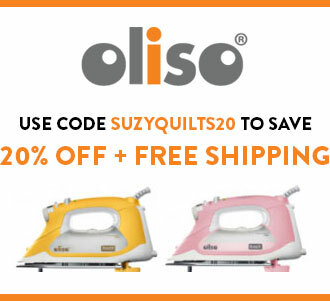 I'm not counting this as part of my 10 Free DIY sewing gifts list because it's technically not free. BUT, it is 50% off...which is basically free. 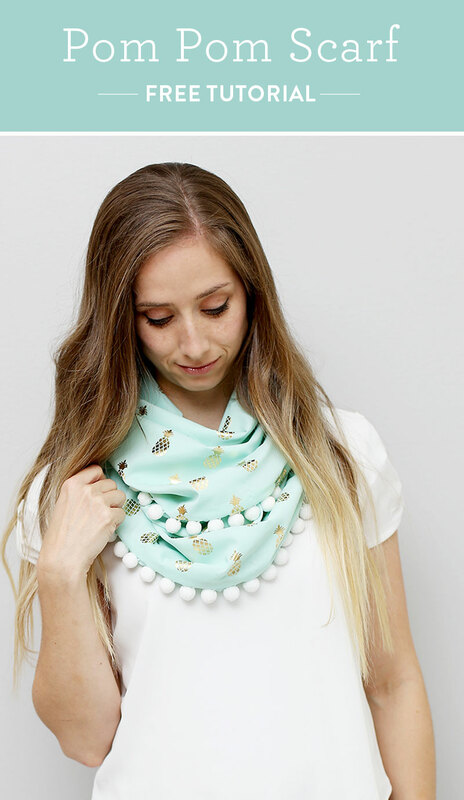 Okay, so I know I just said that mini quilts were quick, but this Pom Pom Scarf from Sew Much Ado will fly off of your sewing machine! The best part about this scarf? 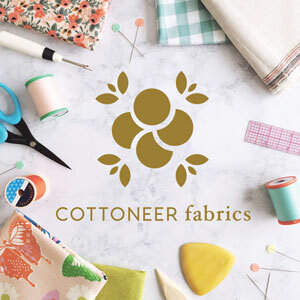 Fabric shopping. 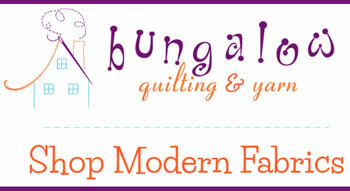 I love going through a fabric store or website with a friend in mind, waiting to be inspired! Add the cute, pom pom fringe and you have a great handmade gift. 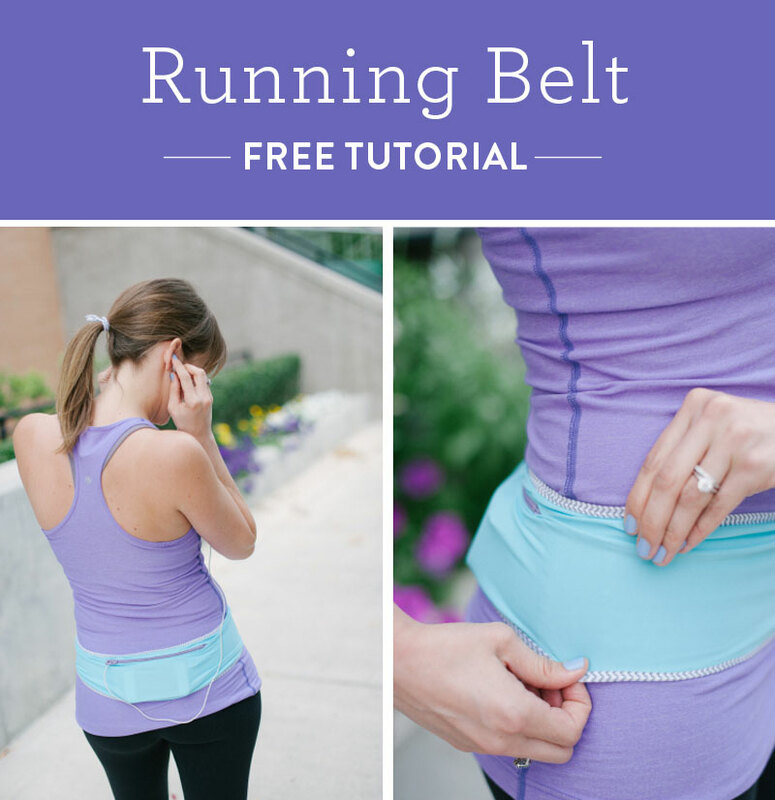 Okay, so I’m not going to pretend I’m exactly the running-belt-kind-of-person, but I have friends who are (you know the type…) Giving the gift of a running belt is a great way to say “I support your sickeningly healthy habits and I hope you love me even though I can’t keep up with you.” Or something like that. 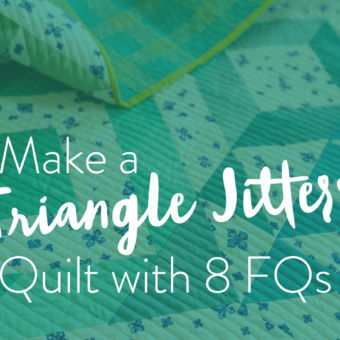 Of COURSE the best-ever gift for anyone in the world is a handmade quilt. 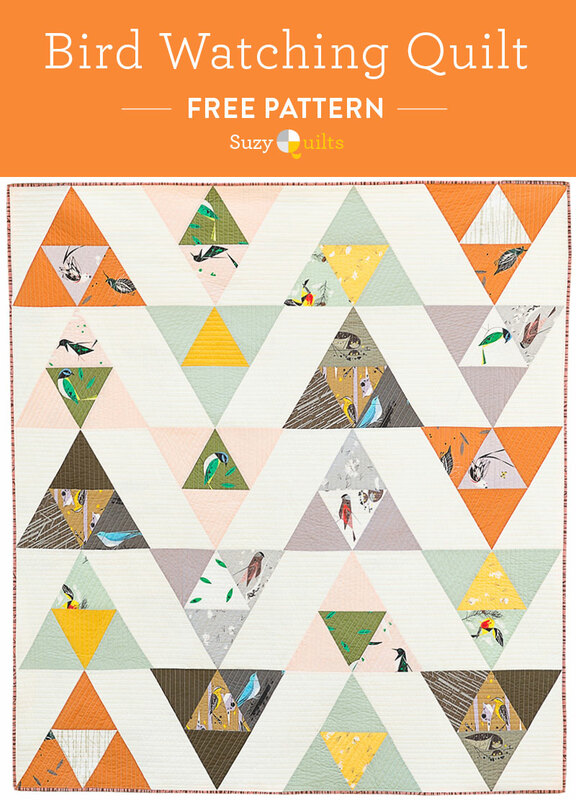 If we’re in the girlfriend-zone, I recommend the Bird Watching Quilt, because it’s bold and fearless, but like your friend! Did your gal pal land a job promotion, tackle a tough life transition or maybe just got some new blonde highlights? 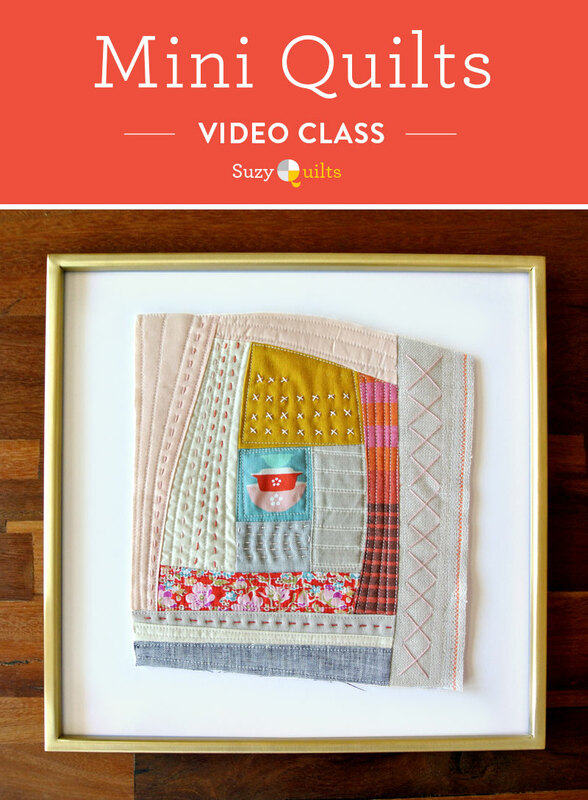 Whatever the celebration is, a quilt is a treasured heirloom your friend will never forget. 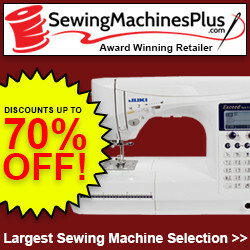 Do you know what sewing machine is best for you? There it is! 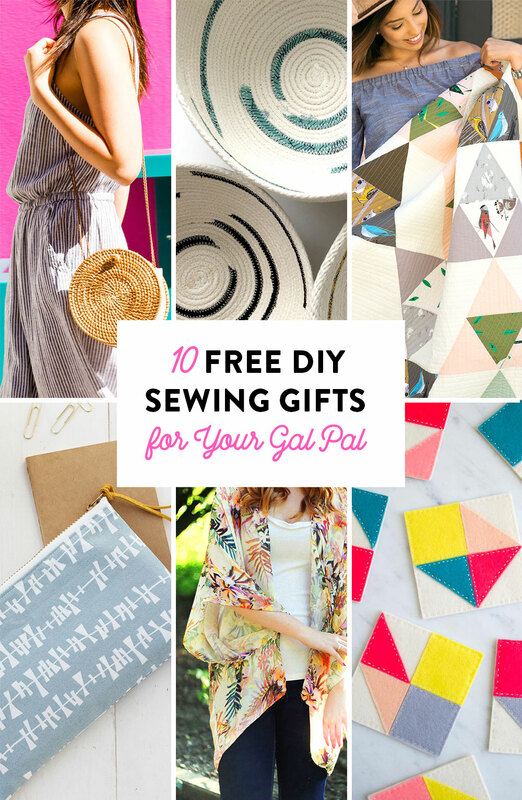 10 awesome DIY sewing gifts for your fav friend… or someone you really want to be your friend (I could probably be bought with a kimono.) 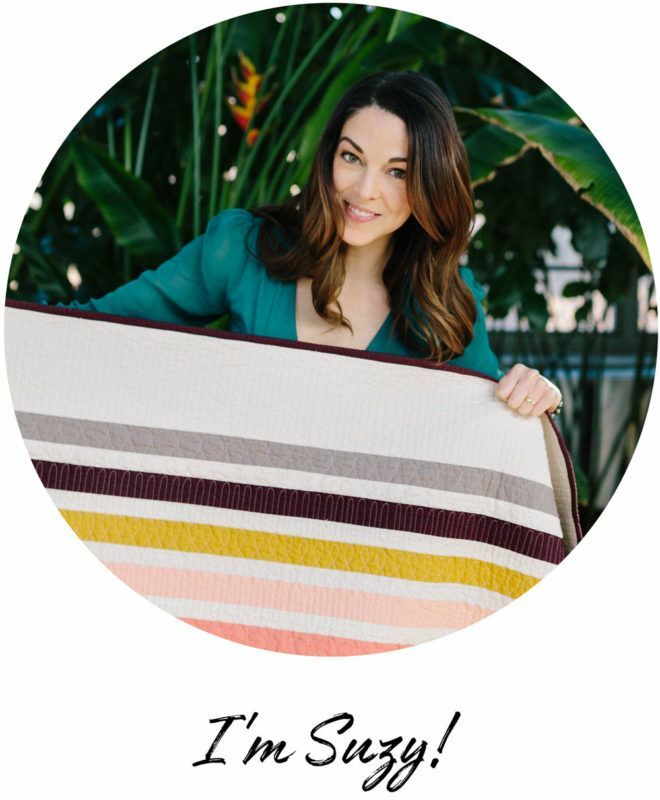 Let me know if you have a go-to DIY gift or if you try any of these patterns! 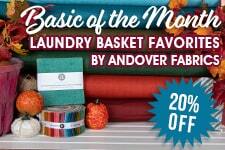 I am going to make some rope bowls before Christmas and I just bought your Bayside quilt pattern, I have way to much on the go lol. Can’t find the coupon for class for $20. When I click on the picture it comes up $29.99? Yeah…It’s kinda confusing. The coupon is only seen once you go to your cart. 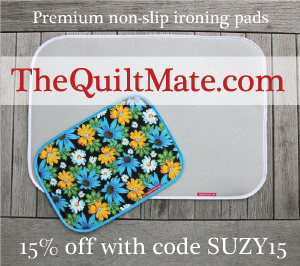 When you click the cart icon and view the class on that page, you’ll see the 50% off price.